The Insider Dealmakers Awards crowned us number one for the North East, having completed 43% more deals than any other law firm in the region over the last decade. New appointments and recent award wins have also seen the firm go from strength to strength, being crowned 2016 Regional Law Firm of the Year at both the Legal 500 UK and Solicitors Journal Awards. Information service provider Experian has also ranked the firm as the North East’s top dealmaker since 2014. So what is their secret? “Quite simply it’s about our people and building long term relationships,” says Andrew Davison, partner and Head of Corporate. Five experienced partners lead a growing team of expert lawyers, including Adam Rayner, who won Young Deal Maker of the Year, and Matthew Walsh who advised on the Deal of the Year at the Insider North East Dealmakers Awards 2016. The team also added two new lawyers in September – Claire Willcock and Sara Worsick. Newcastle-born Claire joined from a national law firm, where she gained experience in both public and private company law. Sara studied law at Newcastle University and previously spent a number of years at a Carlisle-based law firm. Andrew said: “Sara and Claire have hit the ground running. They are exactly the kind of lawyers we look for at Muckle; extremely personable and technically excellent. There’s no denying that 2016 has been a challenging year for many North East businesses, but Andrew’s team has continued to help the region’s local businesses grow. 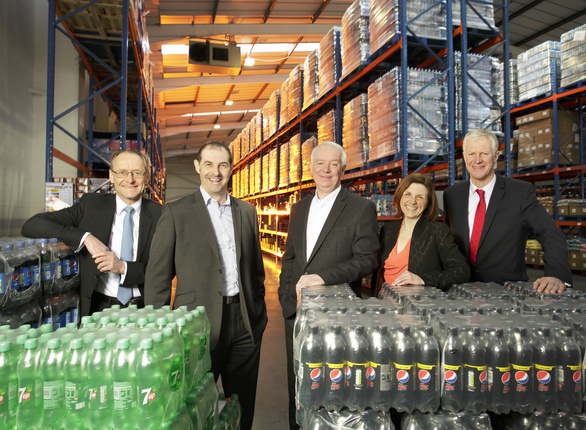 Fast growing Kitwave Wholesale Group acquired Phoenix Fine Foods Limited, following a multi-million pound investment from Pricoa Capital Group earlier this year. A deal the team was also pleased to advise on. 20 jobs are also due to be created at Fairstone, as the group expands operations at its Boldon Business Park base following a £25m investment from Synova Capital. In March the team advised on the sale of local software developer Grasp Limited to Durham-based Atom Bank, the UK’s first digital-only bank, adding to their in-house capability to develop their mobile app. Cramlington based AVID Technology were able to boost their engineering and manufacturing capacity when Muckle helped them secure a £3.4m investment. For more information or to find out how we can help your business contact Andrew Davison.